Over the years I have tried pretty much everly product going. 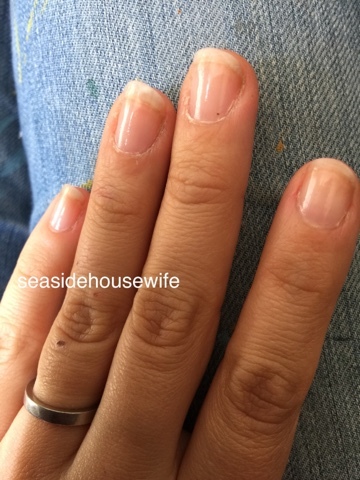 From varnish to stop you biting them, to oils, creams and varnish to strengthen them. 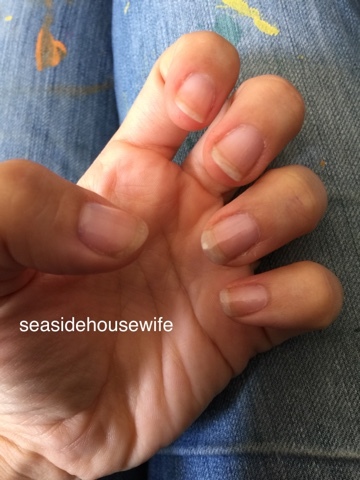 Nothing has really made a lasting change or really worked in making my nails grow any better! I thought I would try something new. 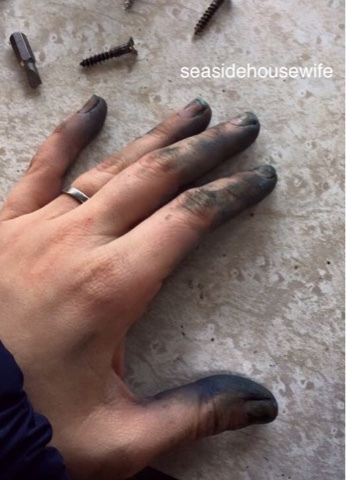 As my nails where ruined by stain, paint, nails and sawing, while renovating a 1969 Bluebird caravan. I picked up some O.P.I nail strengther. Not only are they growing and quickly, they look a million times better! 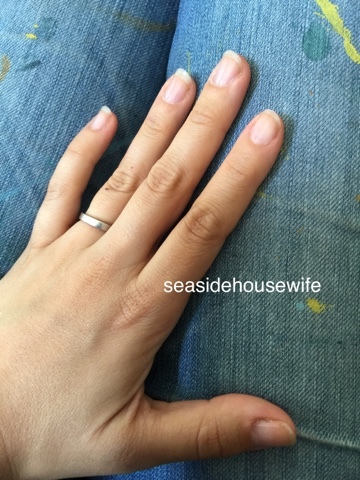 The varnish is easy to apply, quick drying and easy to use around my busy life. I leave it in my handbag so when I get a few moments waiting at school pick up or while am making a cup of coffee I can throw some on. You don't have to be too neat when applying, it has a lovely finish and at last am really proud of how lovely my nails look! I've been trying to remember to oil my cuticles aswel, coconut oil has been working. They are growing so quickly since using this product, I have had to file them for the first time in years! It's like they have added in some miracle grow! I haven't been paid to do this review, it's a product that I have found and brought. Since changing our life style to more of a vegan way of life, I have been replacing my makeup with animal and cruelty free. Some of their products are not vegan, but the nail strengthener is. Am really looking forward to getting some colour on them or some nail vinyls! For me, it really has worked! 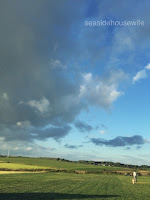 Help support my blog with the above affiliated link!